Researchers at the Kentucky Geological Survey say maps published by the U.S. Geological Survey overstate the earthquake threat in Western Kentucky and the surrounding region. 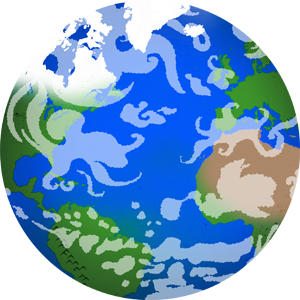 KGS researchers at the University of Kentucky have been working for a decade to have the maps changed to reduce the estimated threat level. The USGS uses a probabilistic method to determine the earthquake hazard level, a method KGS researchers say is flawed. KGS Director Jim Cobb said deterministic or scenario analyses for the Paducah region showed a much more moderated seismic hazard. “It’s just not as significant as California and other places like Japan or China,” he said. Cobb and Wang wrote an article published by the Geological Society of America late last year detailing the scientific flaws in the probabilistic method and presenting the deterministic/ scenario method and its results. Cobb points out that standard building codes are based on the USGS hazard maps, and federal installations cannot be constructed in zones with an earthquake threat as high as the USGS map depicts for the New Madrid Seismic Zone, which includes Western Kentucky. That could put Western Kentucky at an unnecessary disadvantage when trying to attract federal facilities, impeding economic development. 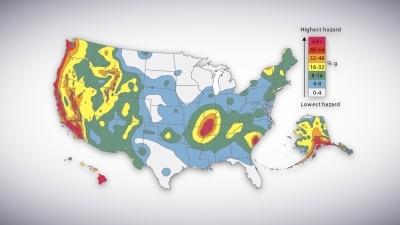 The USGS is developing new hazard maps, which will be released sometime this year. Wang hopes the efforts to persuade USGS will result in a reduced estimation of the seismic hazard in the Midwest on the new maps.